Congratulations to John Pittman on being the 2019 winner of the Julian Award of Excellence! Congratulations also to runner up Robert Diack and to Chris Monson, Soren Nissen and Chris Platt Trio. 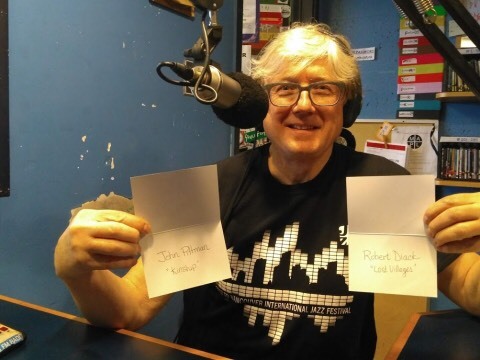 The voting results were announced on Sunday, December 20 during The Jazz Spectrum show on CJSF 90.1 FM the campus community radio station at Simon Fraser University in Burnaby, BC. This is the eighth year the award has been offered. The Julian Award of Excellence is given to a Canadian jazz artist or group every year who are establishing themselves in the Canadian jazz community, have released an album in the past 18 months containing original material by a Canadian member of the group and who do not have a contract with a major international music label. The Julian Award for Excellence is named after Patrick Julian, a long-time member of the board of the Coastal Jazz and Blues Society. Patrick also served as President of the Board for the TD Vancouver International Jazz Festival for multiple terms and is still actively helping to develop and support the festival. The album, Kinship, for which John has won the Julian Award was oﬃcially released worldwide on August 24th 2018 with an album launch recorded in 4K video at Jazz Bistro in Toronto, ON. Kinship is available from Slammin Media and worldwide by Believe Distribution. Stream or download Kinship from your preferred digital music platform here and watch the John Pittman Quintet perform “Moray Crossing” live at the Kinship album release show at Jazz Bistro here. A big thank you to everyone who helped vote for Kinship and to The Jazz Spectrum and Patrick Julian for supporting the Canadian jazz music community!